This is Now is excited to announce that Son of Dave will be hitting the UK streets again this November, stomping his way around twelve cities with a suitcase full of brand new records and endless supply of rowdy gags. 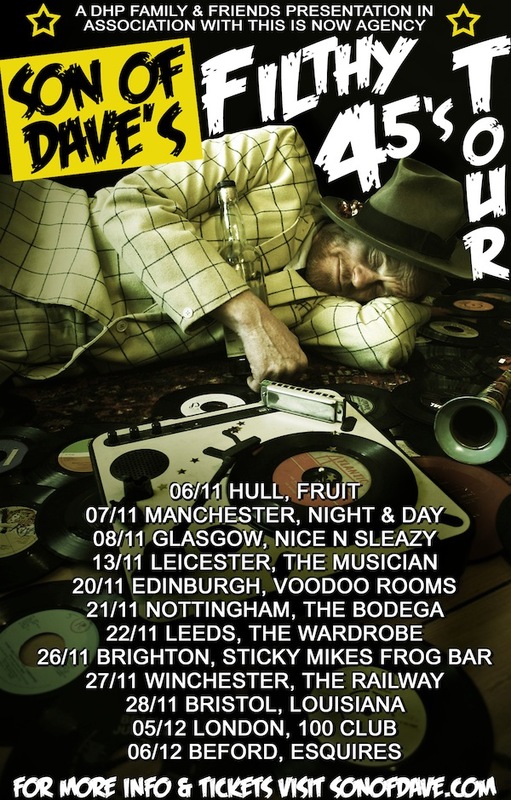 There is also some other news as November will also see the launch of a new series of “Filthy 45’s” where Son of Dave will take on some classic (and not so classic) tunes, giving them his own unmistakable mistreatment. Already known for his renditions of ‘Bonkers‘ – Dizzie Rascal, ‘Black Betty‘ – Ram Jam, ‘Bom Bom‘ – Sam and the Womp, and many more, he’s decided to bow to public demand and crank out more crowd pleasers on limited edition seven inch vinyl. His legendary live show has already toured five continents and earned him a cult status amongst a diverse audience. With a CV as long as your arm and a briefcase full of naughty tricks, the master is on tour again and this time it is not to be missed. Please visit www.sonofdave.com for more information and tickets.